With a positive spirit and zest for life, Susan Elaine Fritz lived a life rich in family and friends. A woman who never knew a stranger, it was not unusual for those who met her to make an instant connection. Heart-centered and generous, Susan navigated life with empathy and love often affording others safe harbor from life’s storms. She effortlessly touched countless lives and relished in connecting powerfully with others. Cherished by all who were blessed to know her, Susan’s legacy of love and hope will long live in the hearts of many. As war gave way to peace and civil rights became a dramatic force in U.S. history, 1952 marked a period of progress and optimism. With the birth of the Baby Boom generation, the focus was on hard work and affording our children a better life. The middle-class standard of living continued to grow and appeared to have no boundaries; it was a time of much hope. Nowhere was there greater cause to celebrate the possibilities of hope than in the hearts and home of Elwyn and Patricia Wood as they welcomed their daughter Susan into their hearts and home on January 13th. 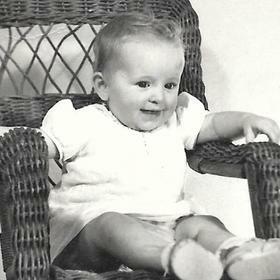 Growing up during the 50s and 60 at 1976 Alpine Ave NW, Sue knew the comforts and challenges of family life. While her father was a musician who worked construction, her mother sewed upholstery for GM at Fisher Body. In 1958, her parents divorced. Her mother took on the sole responsibility of raising Sue and her four siblings; Janice, Marlene, Jim, and Mike. Out of necessity, Patricia worked 2nd shift leaving the children to look out for each other. As the second eldest, Sue was a major contributor to the oversight of the younger kids and home. The kids walked to school together and came home for lunch. Though things were meager at home, from the start, Sue possessed an “If things were bad, we made them good” attitude. “We found joy in entertaining ourselves” often by putting on plays and shows for one another. While times could be tough, with Sue’s heart at the center, the challenges resulted in the kids forging an incredibly strong bond with one another. This comfort of this closeness became a firm foundation upon which Sue built the rest of her life. Over the years, she fondly recalled walking the railroad tracks to Richmond Park for swimming in the summer and ice skating in the winter. Riding the city bus for 10 cents was also a treat. The bus ride often resulted in a trip to Woolworth's where she bought 45's (records) & lipstick, or to see a movie at Our Theater. Sometimes she’d end up going dancing. Visiting her grandparents at their farm in Wayland during summer breaks and for holidays always proved a good time. 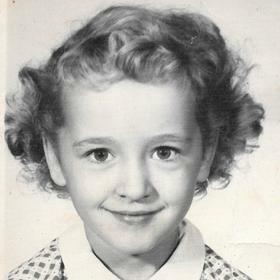 During her early years of schooling, Susan first attended a one-room schoolhouse in Caledonia. For a time, she attended Wayland, Kelloggsville and finally settled in at Fairview Elementary in the Kenowa Hills district. 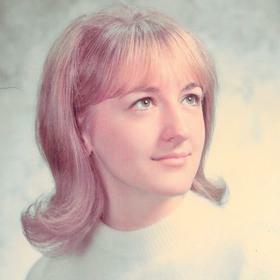 She graduated from Kenowa Hills High School with the class of 1970. Social by nature, Susan was a friend to many. She loved people and she loved to be of service in whatever way she could. During high school, she poured her energies into serving the student council. As a junior in high school, Susan became friends with the captain of the football team, Jim Fritz who was a senior in her journalism class. They officially started dating her senior year with a first date cruising “the circuit” in downtown Grand Rapids. It was a perfect date for Susan who loved cars her whole life. Jim presented her a pearl ring for graduation and later proposed on the covered bridge in Ada. They married May 14, 1971, on a beautiful night at St. Mary in Marne. Between the ceremony and reception, they honored their initial date by driving to Grand Rapids and cruising the circuit in Jim's Dodge Dart with streamers and cans in tow, much to the annoyance of their guests who were waiting for the reception to begin. The newlyweds took a honeymoon trip south, meandering the roads with no plan or reservation. Eventually, they settled on a cabin in the Cumberland Mountains of Kentucky. While there they helped clean and open the pool so they could use it. Upon returning home, the young couple settled in Jim's father's trailer park in Coopersville. A year later they began building their own home on Fritz Street, a road Jim's dad built through some property the family owned. In 1973, while pregnant with their first child, Susan and Jim moved into the unfinished home. To move things along, Jim worked full time during the day and worked on the house every evening. Later that same year, Susan and Jim welcomed the first of their daughters, Jayme, into their family. Two years later Molly arrived, and in 1981 Lacy completed the family. A devoted mother, Susan was very involved in raising the girls. She delighted in supporting them and attended all of their functions. Whether attending games, planning parties, working as a classroom mom at school, serving as their scout leader, or chaperoning dances and trips, Susan’s joy in sharing her daughters’ lives was abundantly clear. Not only did Susan take great care of her own children, she was a tremendous source of love and support for all of the children in her life. She was an especially great godmother to her nephew, Michael.  During high school, Susan began her work life at Fairview Pharmacy. She then worked for Roskamp Oil in Coopersville. For a time she held a part-time position at Standale Country House a home décor store that she absolutely loved working at. After Lacy began school, Susan worked as a para-professional for Walker Station Elementary School in the Kenowa Hills Public School system, later transitioning to Marne Elementary. 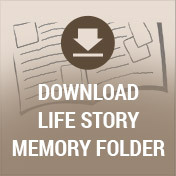 Eventually, she was promoted to school secretary at Fairview Elementary, the school she attended as a child, which enabled her to really know each of the children she served. She dearly loved children and embraced her job with a sense of honor and affection. She knew every child by name and always provided much-needed hugs and affirmations. The school schedule worked perfectly with her own girls’ schedules. 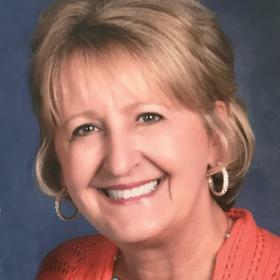 During the school year, she was able to provide great care for the many students and staff she served and during the summers she enjoyed spending time with Jim and the girls at the beach, in the family’s pool, or camping at Brower Park, Grand Haven or Pentwater. Her love for Pentwater was so abundant that she continued this vacation tradition for 22 years by renting a beach cottage for her whole family to enjoy. Sadly, in 2010 the district closed the building. Susan was offered another position, but when she realized her seniority would force one of the younger ladies to be laid off, with signature empathy and generosity, she chose to retire. Always willing to lend a hand, she continued to be an on-call secretary for several years. Retirement afforded Sue more time to share with her loved ones and explore her passions. A highlight was when she treated her entire family to a trip to Gulf Shores, Alabama for a week. She made arrangements for everyone to stay at the same condominium complex where they relaxed, shared meals, played, and made many treasured memories. She and Jim continued to fuel her love of cars, visiting museums and attending car shows as they could. They made a tradition of the Gilmore Car Museum’s annual “Mopars at the Red Barns” and the 30th annual show was held the day she passed. For all who were blessed to know her, it was easy to see that Susan embraced life at every moment. She dressed in bright colors and always wore a scarf and a smile. She was positive and sought out positive energy. She made friends easily and was always up for a good time. She bowled in leagues with her friends in Coopersville, eagerly shared her experiences and perspectives with her "book club", lovingly created detailed photo books and scrapbooks, and was a talented quilter. She fashioned hundreds of quilts. Some were entered in the fair; most were given to people as gifts. She especially enjoyed welcoming new life to the world with the warmth of her quilts. It gave Sue great joy to bring people together by coordinating gatherings of celebration - from class reunions, family reunions, and block parties to simple get-togethers with good friends, Sue was always planning something fun. While her daughters were her great joy, her grandchildren were her heart’s delight. The privilege of being Lauren, Nick, Isaac, Ella, Owen, Eve, Conner, and Crew’s grandmother was her most celebrated. She adored them more than life itself and brought immeasurable happiness to each of their lives. She taught her grandkids everything, never missed an important moment, and was always ready and prepared with special treats and toys to entertain the kids. Fondly known as the “gum lady,” the kids could always count on their grandma’s enthusiastic “pancakes for breakfast” and “pizza for supper.” Extended stays at Pentwater and Christmas Days were extra special times as Grandma hung overfilled stockings for each grandchild, and demanded that each present be opened individually so everyone could enjoy the thrill. Without a doubt, life was brighter and more fun when in Sue’s presence. She effortlessly transformed the ordinary into the extraordinary and enveloped every person she came in contact with in love and affection. To know her was to love her; to know her was to know our worth and to feel loved. Life feels significantly duller in the sudden absence of Sue’s steadfast presence. While it is difficult to imagine a future without her at our sides, may we find comfort in our many sweet memories. May we find additional comfort in knowing that with each colorful scarf we don, hug we freely give, pancake breakfast we indulge, walk we take along the shores of Lake Michigan, and moment we curl up with one of her love-infused quilts, we celebrate the gifts of Sue’s loving legacy in our lives. In so doing, we keep her spirit alive and inspiring others as she so inspired us. Susan Elaine (Wood) Fritz, a light to all who knew her, passed away July 28, 2018, at the age of 66. Sue walked hand in hand with her beloved husband, Jim, for 47 wonderful years. Together, they raised three daughters, Jayme (Matt) Thayer, Molly (Chris) Lapekas, and Lacy (Kevin) Manthei. She brought immeasurable happiness to her eight beautiful grandchildren, Lauren, Nick, Isaac, Ella, Owen, Eve, Conner, and Crew, who she adored more than life itself. 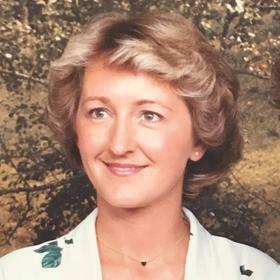 She will be deeply missed by her siblings Jan (Jim) Dressander, Marlene Wood, Jim (Deb) Wood, and Mike (Linda) Wood; in-laws Don (Nancy) Fritz, Debbie (Ray) Cross, and Dennis (Terrie) Fritz; and many nieces and nephews. She has been reunited in heaven with her mother, Patricia DeLoy, her father, Elwyn Wood, her in-laws Don and Ida Fritz, and sister-in-law Judith Warfield. Mass will be held on Thursday at 11:00am at St. Mary’s Catholic Church in Marne, Michigan. You may join her family in celebrating her story on Wednesday from 2 to 4pm and 6 to 8pm at Heritage Life Story funeral home at 2120 Lake Michigan Drive. At Sue’s request, cremation has already occurred.